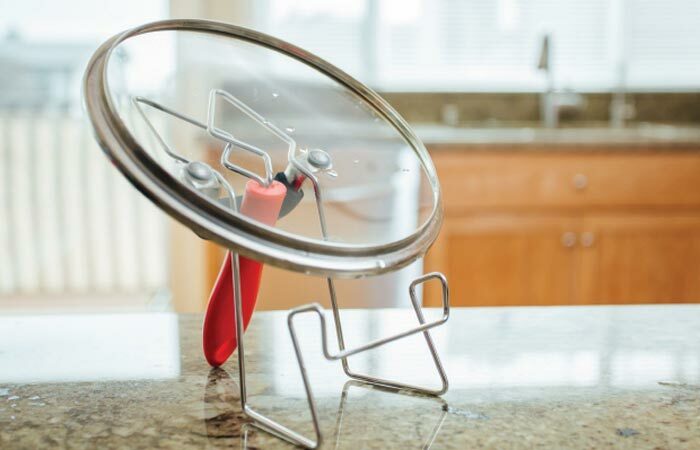 Kitchen gadgets usually look pretty cute and make handy accessories, but few of them are as versatile and useful as the LidSitter. If you spend a fair amount of time in your kitchen, you know how messy preparing meals can get. Multiple pots with their lids spread around, spoons, ladles, boards; sometimes you just don’t know where to put everything. This new product is a solution that will relieve cluttered counters and it can also help ease back strain. The LidSitter is an accessory that securely attaches to any pot rim so that you can snugly fit almost any pot rim onto it. This gives you more free space on the counter for other kitchen utilities and for preparing other food. 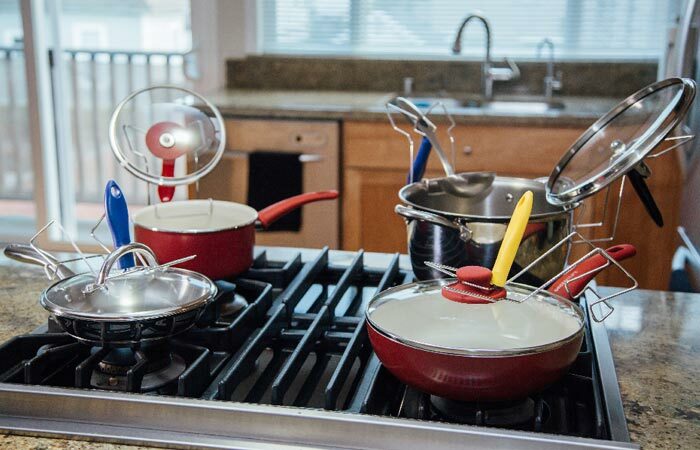 If you’re using multiple pots at a time, getting the lids out of the way but within close reach will make your cooking experience much easier. There will be no more spinning around the kitchen, moving stuff around and covering up spices trying to find a place to put the lid or ladle on. The LidSitter is made from a stainless steel wire form and a handle made from nylon. Its unique design provides both mobility and versatility. 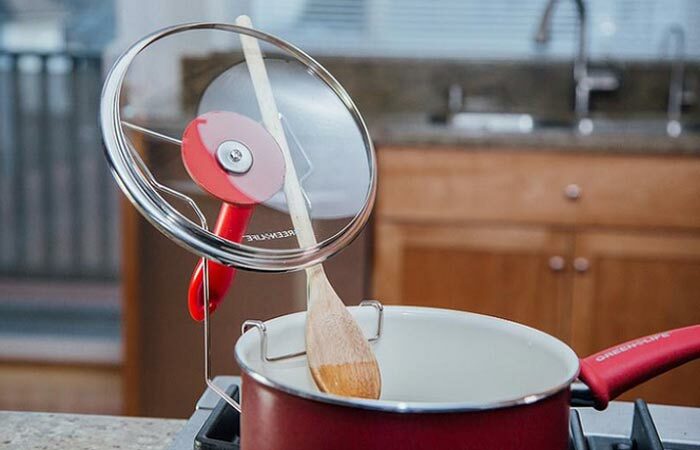 The secure fit is combined with mobility so you can slide the holder around the pot rim while the holder is convenient to mount not only pot lids but also spoons and ladles. 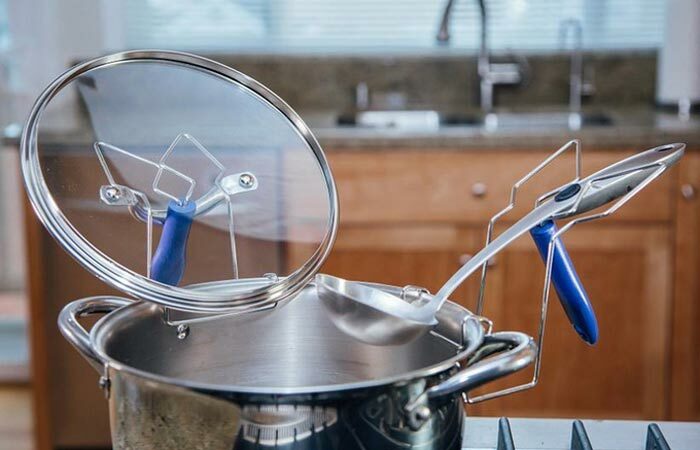 Besides clearing up your space, this product also minimizes the mess by holding the lids in a way that the water drips off of them and right back into the pot. In addition, it’s also a great thing to bring along when you’re cooking outdoors so you don’t have to put your utensils on the ground. The LidSitter will also make your kitchen safer because it will lower the risk of accidental burns. This accessory is very user-friendly as the materials it’s made from will dissipate heat faster so it can be used on gas stoves as well. The utility is very light weighing just 100 grams and it can easily be hung anywhere in the kitchen. The product dimensions are 8.5’’ length, 4.5’’ width and 5’’ height and it comes in black, blue, red or yellow color. To sum it up, this simple design will help you organize better in the kitchen, prevent accidental burns, minimize dripping messes and reduce back strain.